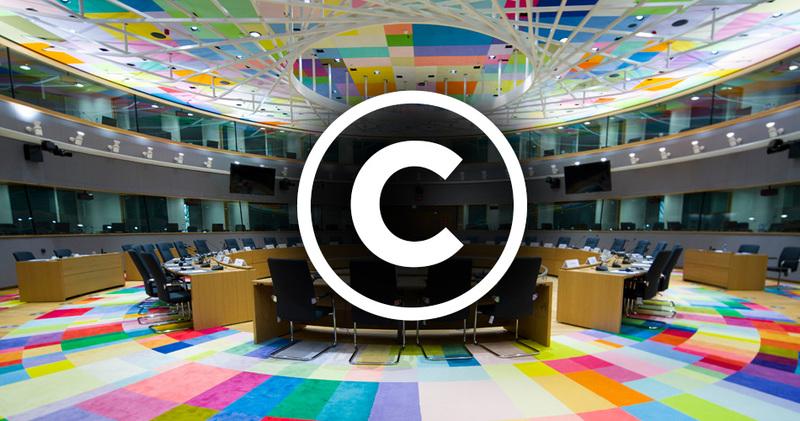 The Estonian Council Presidency has doubts about introducing an extra copyright for news sites in the EU, but generally supports turning internet platforms into censorship machines to try to prevent copyright infringement, leaks reveal. Estonia currently heads the Council, which represents the Member States’ interests in the EU lawmaking process, and which needs to come to an agreement on all new legislation with the European Parliament. Documents leaked by Statewatch today provide a rare insight into the current state of debate in the Council. Two alternative ways forward are being pursued on the hotly debated question of whether press publishers should be granted an extra layer of rights on top of the copyright already enjoyed by journalists. This attack on the freedom to link born out of lobbying by a few large newspaper publishers has overwhelmingly been rejected by independent academics as “unnecessary, undesirable and unlikely to achieve anything”, as well as “an interference with freedom of speech“. A draft report in the European Parliament sought to fix the most glaring issues with the proposal, but its author, MEP Therese Comodini, has since left the Parliament. Her successor, MEP Axel Voss, promptly dropped her work and is instead trying to get the Parliament to rubber-stamp the Commission’s proposal. The first alternative presented by the Council presidency essentially leaves the Commission proposal intact, with the only real improvement being a clarification that extracts too short to constitute an original thought cannot be protected. The second option, however, is very similar to Therese Comodini’s idea of how to support publishers without negatively affecting the Internet ecosystem: This “Plan B” fix would make it easier for news publishers to enforce the copyright in articles they publish in cases of infringement, but without introducing a special right – thus avoiding collateral damage to freedom of expression on the internet, to the ability of small publishers to be seen online and to the ability of startups to innovate in the news sector. That the Council presidency has prepared these two alternative approaches indicates just how divided Member States are on this question. It demonstrates that both are realistic outcomes: Your freedom to share news (with snippets) could soon be severely curtailed – or the sensible Plan B could still prevail. If you haven’t yet lobbied your national government on this issue, it’s high time to start. Censorship machines: Bad or worse? The first alternative leaves one of the two fundamental problems intact: It requires hosting providers to install content filters, despite clear rulings by the European Court of Justice that such filtering obligations violate the Charter of Fundamental Rights. The only good news is that it removes a much criticised passage that would make hosting providers directly liable for the copyright infringements of their users if they have in place any measures whatsoever to optimise the presentation of uploaded content. That language would have made even cloud storage and backup platforms like Dropbox responsible for infringements by its users, since even sorting files in alphabetical order would trigger their liability. This option also clarifies that the obligation to use content filters should only apply to websites where unlicenced uploads are actually a common occurence: hardly cause for celebration. The second option is even worse than the Commission proposal: Unlike Option A, it keeps the extension of liability to hosting providers such as Dropbox who use algorithms to optimise the way that content they display, and even doubles down on it by moving this disastrous provision from an explanatory recital into the legally binding part of the text. While the Estonian Council Presidency is showing some encouraging signs that the Commission’s plans for an extra copyright for news sites may yet be defeated (though without the guts to fully commit to them), its endorsement of censorship machines is more worrying than ever, offering Member States the choice between two options that are both in direct violation of users’ fundamental rights.